NOTICES FILINGS TODAY FOR APRIL CONTRACT MONTH: 2 NOTICE(S) FOR 200 OZ. This post was published at Harvey Organ Blog on June 15, 2017. In Dow Jones news today, stock prices fell as the Senate passed a bill that would place new sanctions on Russia. European finance ministers debated another round of debt relief for the embattled Greek economy and decided to offer a bailout of 8.5 billion euros ($9.5 billion). Greece’s current bailout program is the third effort by international finance leaders since the nation fell into economic calamity in 2010. Crude oil prices cratered and hit a seven-month low on news of a huge spike in U. S. gasoline inventory levels and expectations that OPEC will not be able to balance supply and demand. Crude oil prices are now off more than 12% since May 25. The WTI crude oil price today fell 0.7%. Brent crude dipped 0.2%. This post was published at Wall Street Examiner on June 15, 2017. The Wall Street Journal reported earlier that investigators were seen checking whether Wu – whose fortune last year was calculated to be just over $1 billion – was involved in bribery and other economic crimes at Anbang and that Wu couldn’t be contacted for comment. As noted on Wednesday, Anbang said Wu couldn’t perform his duties for personal reasons, a story which has since been disproved. This post was published at Zero Hedge on Jun 15, 2017. In a preview of more pain to come for US, and global, workers, moments ago Nike announced that it will soon be parting ways with approximately 2% of its 70,700 global workforce, or roughly 1,500 employees. What Happens When the Machines Start Selling? The death of fundamental analysis. The infamous FAANG stocks – Facebook, Apple, Amazon, Netflix, and Google’s parent Alphabet – along with other ‘tech’ stocks have been getting ‘hammered,’ to use a term that for now exaggerates their ‘plight.’ The FAANG stocks are down between 1.7% and 2.5% at the moment and between 5.5% and 11% since their peak on June 8. Given how far these stocks have soared over the past few years, this selloff is just a barely visible dip. But fundamental analysis has long been helpless in explaining the surge in stocks. The shares of Amazon now sport a Price-Earnings ratio of 180, when classic fundamental analyses might lose interest at a PE ratio of 18 for the profit-challenged growth company that has been around for over two decades. For them, the stock price might have to come down 90% before it makes sense. Or Netflix, with a PE ratio of 195. Or companies like Tesla. Forget a PE ratio. There are no earnings. The company might never make any money. Its sales are so minuscule in the overall US automotive market that they get lost as a rounding error. It bought Elon Musk’s failing solar-panel company as a way to bail it out. And the battery-cell technology Tesla uses comes from Panasonic. So what should a company like this be worth? Fundamental analysis has been completely irrelevant: Tesla’s current stock price gives it a market capitalization of $61 billion. This post was published at Wolf Street by Wolf Richter /Jun 15, 2017. EU has decided to put Greece further into debt. It is becoming clear that Greece will never get out of this debt hole. 70% of the people support the BREXIT. Canada’s existing home sales has declined rapidly. Bitcoin dropped on worries about cyber attacks and regulations. Nike cutting 1500 people. The US manufacturing industry declines once again. Illinois is worse now than back in the great depression of the 30s. Bloomberg’s Mike Cudmore says the Fed has just pushed us into a recession, what he really means a collapse of the economy. Japan has decided that they will look into joining China’s belt and road trade system. The Fed is now pushing the collapse is not holding back, most of the people are going to be shocked when this hits. Sometimes when you just can’t keep the story simple, it’s best to do so in your trading. The world is a complicated place and there’s great risk in trying to reduce all causality to one factor. There’s a tug of war going on and the rope resembles a starfish not a snake. Although I’d have to admit, a lot of what we’re witnessing has a distinctly reptilian aura about it. So what are some of the things we need to factor in? Chair Yellen was hawkish. Why various assets responded to her in the way they did is a story about them. And well worth considering. But it doesn’t change the underlying fact. Bonds being bid doesn’t mean they don’t believe her or we’re watching a different press conference than precious metals traders. Radical transformation is coming in many fields of human culture and endeavor. No, this is not just boilerplate praise of ongoing incremental technological innovation. The only way to grasp the magnitude and significance of these incipient changes is to imagine yourself living during the time when steam and then electricity opened continents, shrank the world, destroyed and rebuilt entire societies and ways of life. With that imaginative endeavor, we can at least get a glimpse of the transformation that has already begun but has not yet become fully apparent. We’ve written about a few aspects of this revolution in the past months: about the acquisition of machine-learning firm DeepMind by Alphabet, Inc. [NASDAQ: GOOG]; about Elon Musk’s new venture to explore the incorporation of physical computer hardware into the human brain; about an inflection point in the arrival of autonomous, self-driving cars; and about unexpected innovations that are pushing Chinese social media and e-commerce companies ahead of their Western peers. All these facets of the coming transformation point in one direction: artificial intelligence (AI). This post was published at FinancialSense on 06/15/2017. Update: it appears there isn’t really a deal, but merely a can kicking. As the WSJ adds, the Greek “agreement” merely unlocks a key disbursement of bailout fund but puts a decision on debt relief off until next year. Specifically, the agreement reached in Luxembourg among the finance ministers of the eurozone unlocks 8.5 billion for Greece and puts off a final decision on debt relief until August of next year. In other words, Europe agrees to pay Greece so Greece can then turn around and repay Europe the July 7 billion debt payment; meanwhile no firm, long-term deal has been reached. The answer is debatable but it depends, exactly, to which rates you are referring. The Fed has ‘raised,’ more like ‘nudged,’ the Fed Funds target rate about 50 basis points (one-half of one percent) this year. That is, the Fed’s ‘target rate’ for the Fed Funds rate was raised slightly at the end of two of the four FOMC meetings this year from 50 to 75 basis points up to 1 – 1.25%. Wow. But this is just one out of many interest rate benchmarks in the financial system. The 10-yr Treasury yield – which is a key funding benchmark for a wide range of credit instruments including mortgages, municipal and corporate bonds, has declined 30 basis points this year. Thus, for certain borrowers, the Fed has effectively lowered the cost of borrowing (I’m ignoring the ‘credit spread’ effect, which is issuer-specific). This post was published at Investment Research Dynamics on June 15, 2017. In addition to the three shooting incidents that unfolded in the US on Wednesday, the Port of Charleston’s Wando terminal was temporarily closed last night after authorities received word that there was a dirty bomb aboard a container ship. Officials with the Coast Guard say federal and state authorities are continuing to investigate a potential threat which was reported at the Wando Terminal Wednesday night. Coast Guard officials say the FBI is investigating a report of a ‘dirty bomb’ aboard a vessel. A dirty bomb is composed of conventional explosives and radioactive material. According to emergency officials, no radiation has been found at this time. A report by the Coast Guard states that at 8 p.m. authorities were made aware of a potential threat in a container aboard the vessel Maersk Memphis. Precious Metals expert David Morgan’s talk at the Cambridge House Metal Writers Conference in Vancouver. His talk was on the state of Blockchain technologies along with the pros and cons of this technology and its role as currency. He goes through the parabolic cycle and compares it to the 1980 parabolic cycle of silver and gold. Other things is the dangers of Bitcoin and Blochchains in a volitile digital cyber security world. In a much needed confirmation that Janet Yellen did not make a policy mistake by hiking rates yesterday, moments ago both the Empire State and Philly Feds smashed expectations, with the first printing at the highest level since September 2014 of 19.8, above the expected 4, and well above May’s -1 contraction print, while the Philly Fed posted at 27.6, also beating consensus estimates of 24, if a drop from last month’s 38.8. ‘As growth continues and, ideally, broadens further, Governing Council will be assessing whether all of the considerable monetary policy stimulus presently in place is still required,’ Wilkins said in the text of a speech she’s giving Monday. Gold Market Morning: June-15-2017 — Gold on the back foot after the Fed! Gold Today – New York closed at $1,262.70 yesterday after closing at $1,275.60 Tuesday. London opened at $1,260.00 today. – The $: was stronger at $1.1164 after yesterday’s $1.1217: 1. – The Dollar index was stronger at 97.28 after yesterday’s 96.92. – The Yen was stronger at 109.65 after yesterday’s 110.14:$1. – The Yuan was weaker at 6.8019 after yesterday’s 6.7976: $1. – The Pound Sterling was weaker at $1.2696 after yesterday’s $1.2785: 1. Yesterday global gold markets saw volatility in all three markets ahead of the Fed. 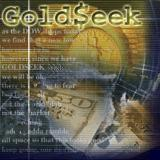 Once the statement was out global gold markets settled and steadied around $1,260, with London $5 lower than Shanghai. We expect today will see a digestion of Mrs Yellen’s statement followed by gold’s reaction. Silver Today – Silver closed at $17.13 yesterday after $16.76 at New York’s close Tuesday. This post was published at GoldSeek on 15 June 2017. Is it going to be another May 17, when US stocks tumbled as concerns of a Trump impeachment over obstruction of justice and impeachment surged ahead of Comey’s tetimony? … while European and Asian markets dropped dragged lower by commodities which reacted to the latest Fed rate hike, as copper dropped and oil fluctuated. The Bloomberg commodity index fell to the lowest in more than a year, pressuring miners and E&P companies which were among the big losers as the Stoxx Europe 600 Index retreated for a second day. The dollar advanced after the Fed raised interest rates for the second time in 2017 and Yellen suggested the strength of the U. S. labor market will ultimately prevail over recent weakness in inflation, which however the bond market strongly disagrees with, sending the curve the flattest its has been since October. FED Rate Hike Recap | How Did Gold, Silver, & Dollar React? The FED Raised Interest Rates yesterday 25 basis points, we will recap how the Fed Rate Hike impacted the price of Gold & Silver, The US Dollar Index, The Dow Jones Industrial, S&P 500, & Nasdaq 100. We’ll also look at the prices of Platinum and Palladium as the white metals are offering a massive ratio play for those positioned correctly.